What do plaids make you think of? For me, they evoke feelings of cool autumn nights, curled up with a good book, a warm (plaid) blanket, and a cup of something steamy in hand. 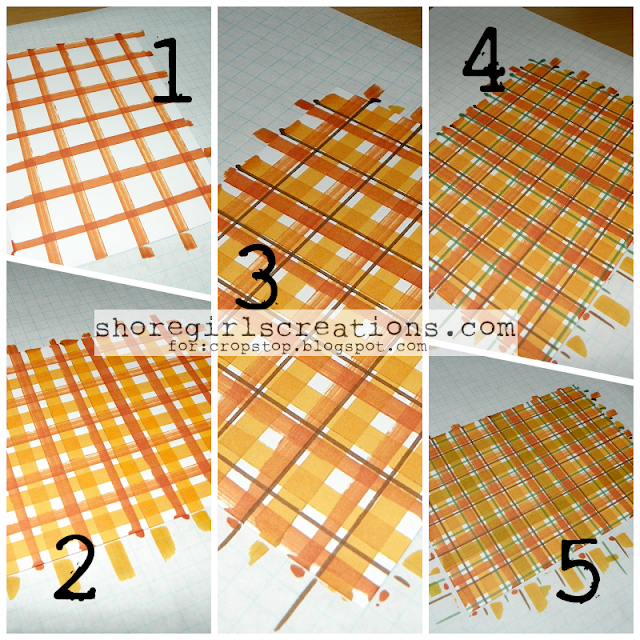 That's why the entire month of October I plan to share easy, do-it-yourself, plaid backgrounds you can create using markers. There are also a couple fun ways to use your plaids, so you won't want to miss any of the Monday inspirational posts this month! Note: For a mini tutorial for the flower on this card, visit the Tutorials Tab at the top of the blog and click on 3D Sunflower. We’ll choose one random Winner who will receive a prize from the CropStop Store! (100 or more links = two winners and two prizes!) Thanks so much for linking up with us, we look forward to seeing all your great entries this month. 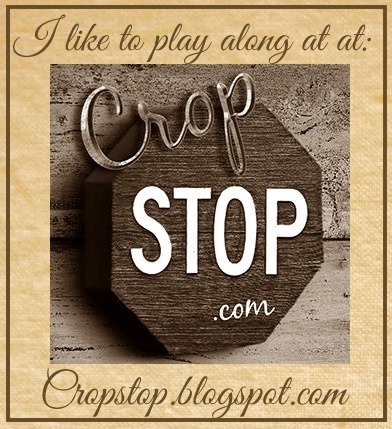 Grab our badge and help us spread the word that CropStop is a great place to play along! and I'll enter your name twice in the random draw. Wow Esther!, this is a beautiful card!! And your plaid background is amazing!!! Simply amazing, Esther! You are so very creative! Wow that is just gorgeous, I so love your plaid background, thanks for sharing how you did it and the flower is beautiful! Absolutely gorgeous card, the plaid is beautifully created!! Ack! DIY plaid is my favorite! Yours is ah-mazing! Gorgeous creation Esther! i love plaid too! Thank you for the challenge. I especially love plaid for fall and winter projects so this is a technique I have to try! Thanks for the tutorial and beautiful card share. Plaids sure look neat and yours give an extra warm fall background to that lovely flower! Don't know that I have the patience to DIY them, tho.